Lightweight and compact air chair couch - Weight 2.54 lb. 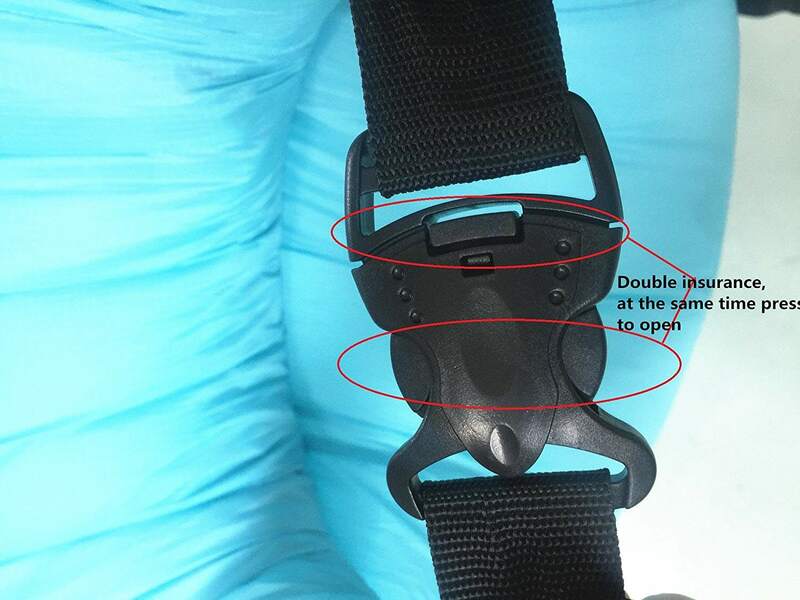 ; Inflated size: 74.80x31.50x33.46 inches; Package size: 14.17x9.06x2.95 inches. Easy to pack and carry it's super light weight. 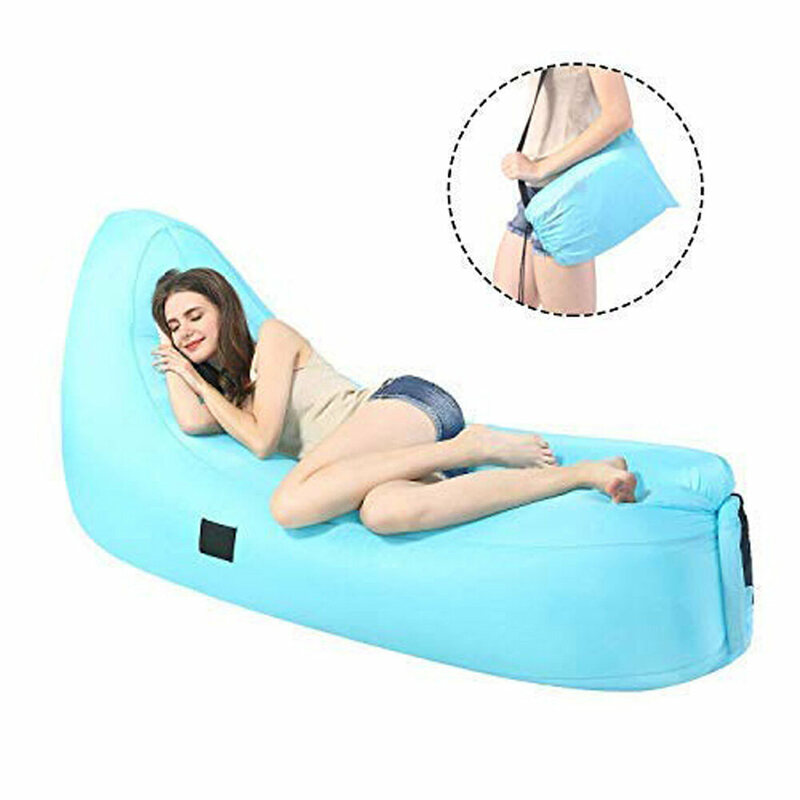 Material - Air lounger sofa is made of 100% 210T rip-stop polyester Oxford cloth, comfortable and convenient, waterproof, environmental Protection. It does not get burning hot under the sun on the beach; remains just warm to touch. 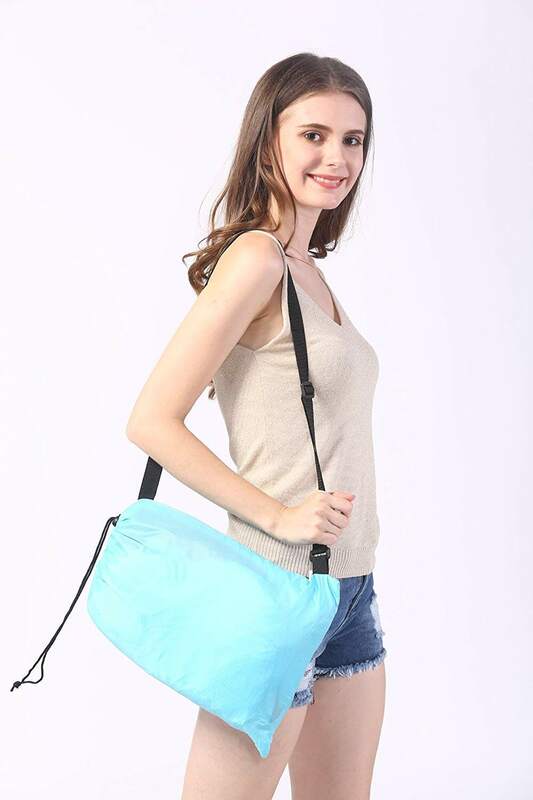 Easy to inflating design - No Pump required, package with drawstring bag. Natural wind can easily make it swell. 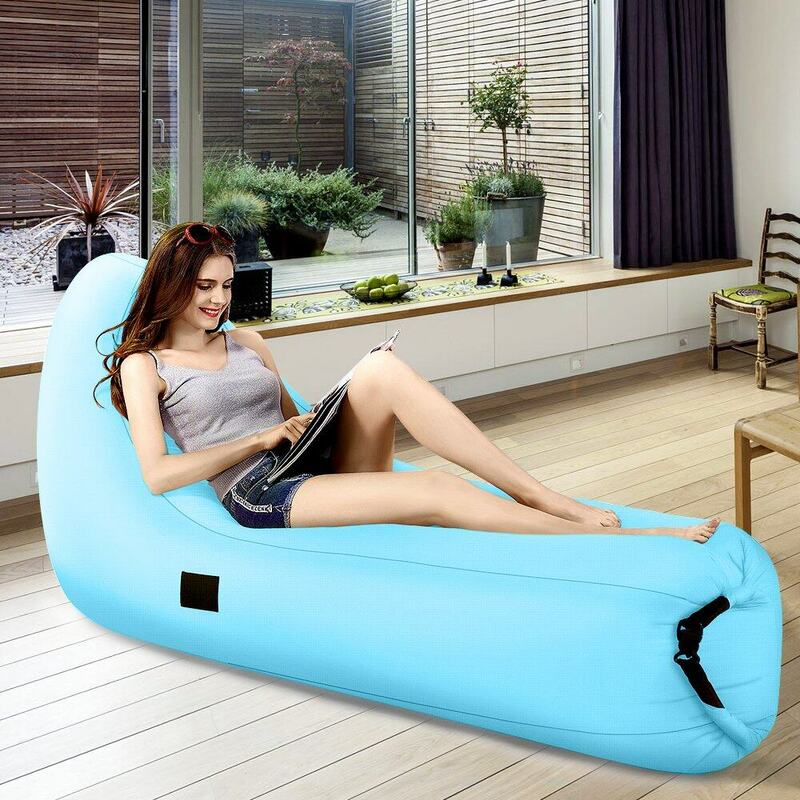 The folding air bed reaches full inflation and firmness in under 1 minute. 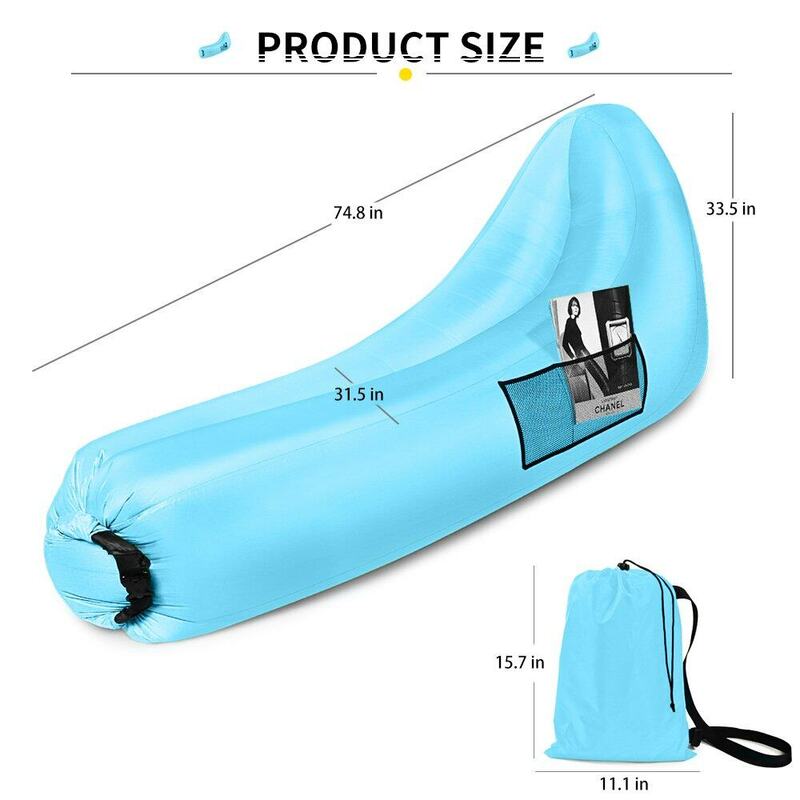 Relaxing and stays inflated for 4-8 hours. Wonderful gift - The bag itself is pretty lightweight and compact when folded. 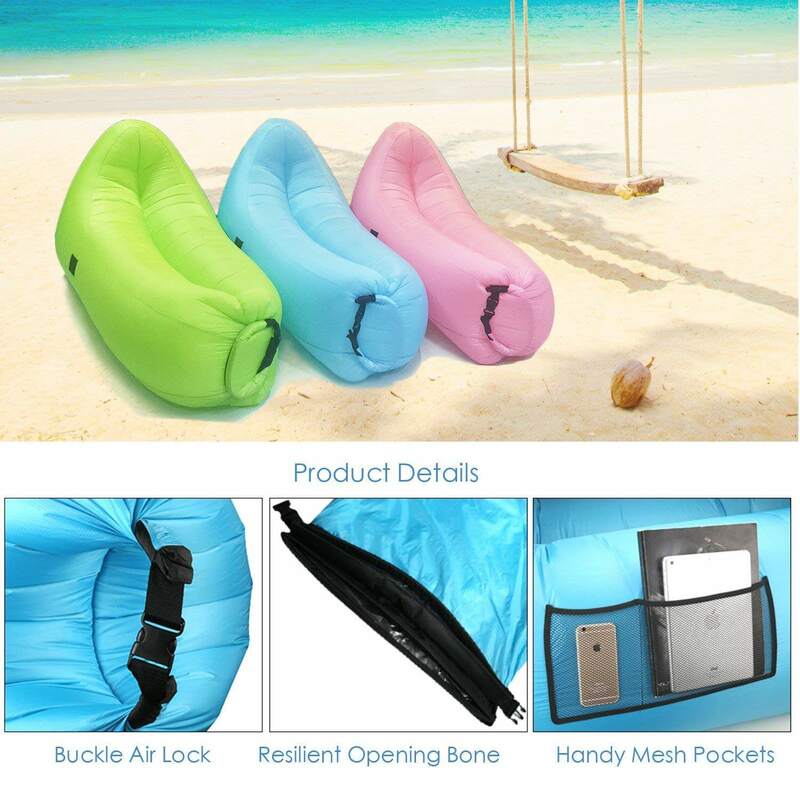 It is easy to carry when going to the beach, hiking, camping, parks, music festivals, pool (yes it also floats) or even in your backyard, no matter where. Just try it, and if you don't absolutely love it, send US a message and we will refund or replace your purchase, No questions asked!